Ever since we viewed footage from her 40th birthday party, Sofia Vergara's been on our list of famous people we want to party with. The footage coming in that captures her fun after the Emmys on Sunday just proves our point. TMZ posted a video of the "Modern Family" star working it on the dance floor after the ABC series picked up another outstanding comedy Emmy, and photographs show Vergara having a ball with her reported fiance Nick Loeb as well as her co-star and the night's winner of the outstanding supporting actress in a comedy Emmy, Julie Bowen. If there's one comfort Kym Johnson has going into the "All-Stars" season of "Dancing With the Stars," which premieres tonight at 8 p.m. on ABC, it's that she's back with her friend and former dancing partner, Joey Fatone. But other than that, she told CNN ahead of the show's premiere, all bets are off. If there’s one thing I learned after watching last night’s “Spaghetti and Coffee,” it’s that Nucky Thompson is whipped and it’s going to be bad for business. 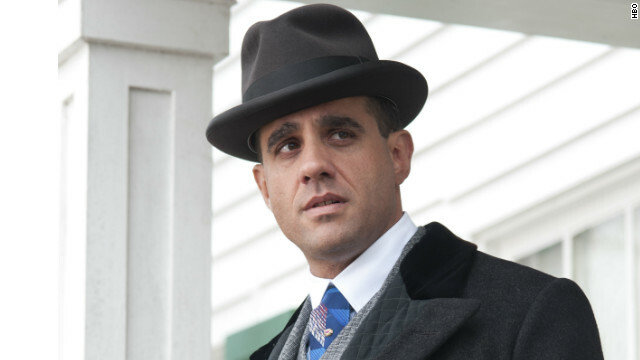 He needs to put his game face on, because Gyp Rosetti is already playing hard ball. Weekend rumor: Eric Stonestreet and Charlize Theron? Now here's a rumored pair that we didn't see coming: Over the weekend, bits of gossip floated about suggesting that "Modern Family's" Eric Stonestreet and new mom Charlize Theron were an item. A "source" close to the actress told the U.K.'s Daily Mail that "Charlize and Eric get along incredibly well," and that "they started off as friends but things are blossoming between them." Stonestreet, who picked up an Emmy for outstanding supporting actor in a comedy Sunday night, and Oscar winner Theron were said to have met through mutual pals at an L.A. shindig earlier this year. Emmys 2012: What's the verdict? The reaction to the 64th Primetime Emmy Awards has to be split into three categories: The fashion; the entertainment factor, which often rests on the shoulders of the host; and whether those who deserved to win did. 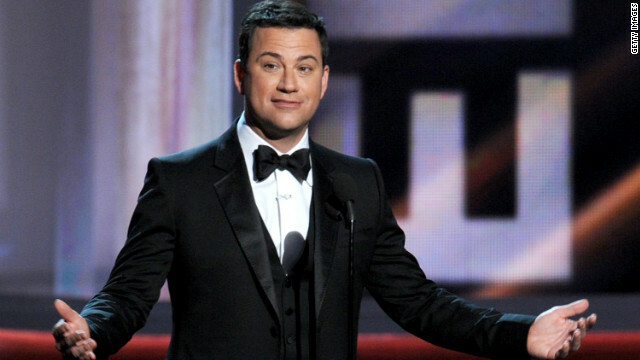 On the fashion end of things, everyone's still salivating over Sofia Vergara's dress, and as far as entertainment value, the 64th Primetime Emmys wasn't half-bad with Jimmy Kimmel as host. Sure, it wasn't the best awards show we've ever seen - Kimmel's routine, we thought, was uneven - but it did end on time (few winners were allowed to stay on the stage long before the music started up). The awards? That's a different story. 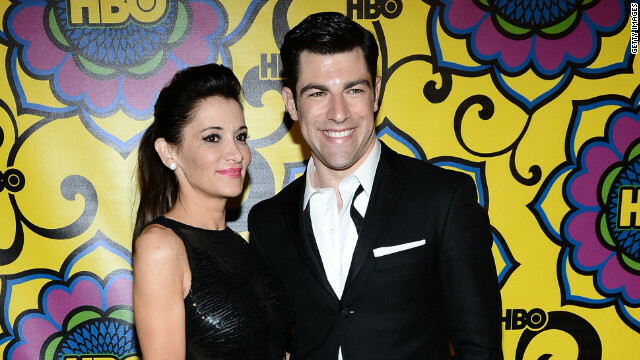 Max Greenfield earned an Emmy nod for his portrayal of Schmidt on "New Girl," and he has no doubt more nominations would roll in if he landed the role of Christian Grey in the "Fifty Shades of Grey" movie. Greenfield, who walked the Emmys red carpet Sunday in custom Brooks Brothers - "tailored within an inch of his life," as his wife Tess Sanchez told E! - said that he'd be happy to drop trou for "Fifty Shades" on the big screen.